A few weeks ago, I was driving around with researchers Andrew and Wendy Mutch to show them kit houses on the northwest side of Chicago. 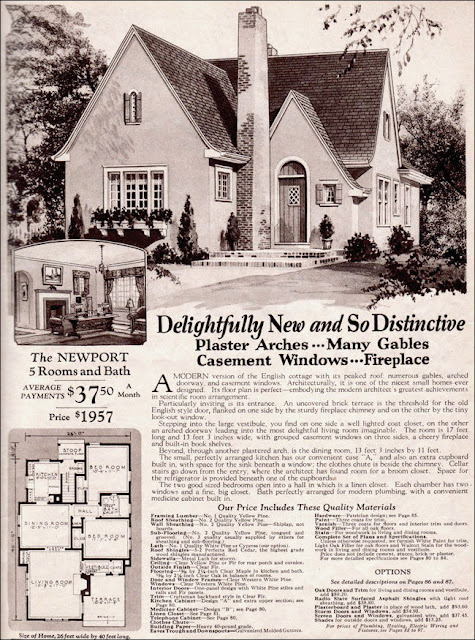 We drove down Ibsen Street to see this plan book house from Home Builders Catalog. 7312 W. Ibsen St., Chicago. 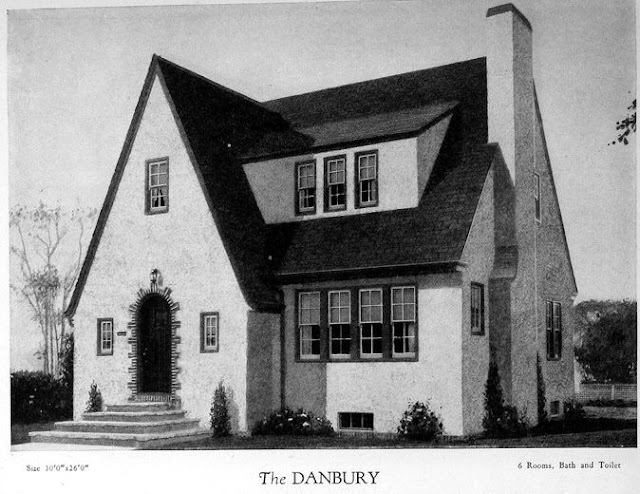 The Danbury from Home Builders Catalog. The dormer upstairs was enlarged from that shown in the catalog illustration. Because the original owners merely purchased the blueprints from Home Builders Catalog and not a whole kit, alterations to the original design were easy to make. The house was built in 1928 or 1929. The original owners were Merton O. Jones, his wife, Ethel, and their baby. Merton worked at the Federal Reserve Bank. The house cost about $12,500 to build. By 1935 they were renting elsewhere in the Edison Park neighborhood. Now for the serendipitous part of the story. We continued to drive down Ibsen and stumbled across this pretty Gordon-Van Tine Patrician model in brick veneer that I never noticed before. 7211 W. Ibsen St., Chicago. 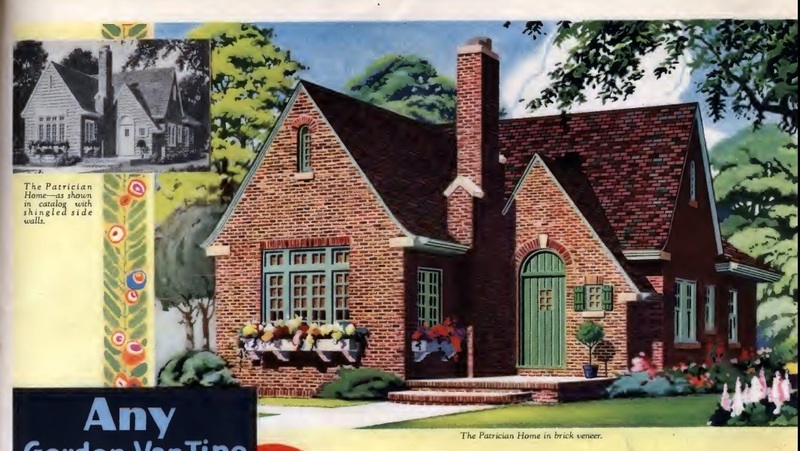 The Gordon-Van Tine Patrician in brick veneer, from the 1931 catalog. The door is rectangular but the arch is still there! Gordon-Van Tine and Montgomery Ward sold the same house models. The Patrician was also sold by Wards and called the Newport. 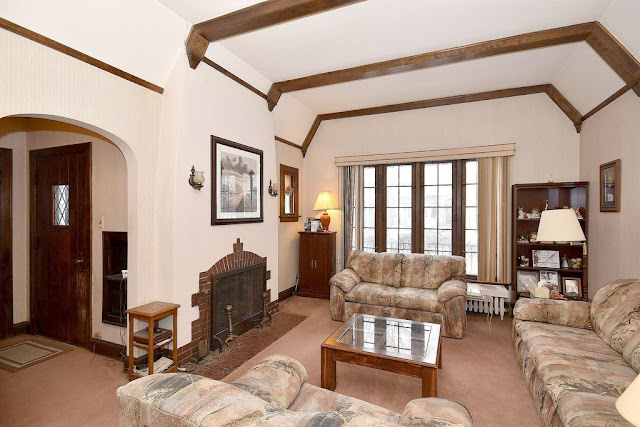 This Patrician/Newport was built around 1930-1931. The original owners were Ward W. Rowe and his new bride, Dorothy. He worked in sales for the Messenger Paper Company. The house cost roughly $12,000 to build. (Ward hailed from Davenport, Iowa where Gordon-Van Tine was headquartered, so I suspect this house is a Patrician.) The Rowes listed the house for sale in fall of 1940. Living room. That is an original Gordon-Van Tine front door. You must have so many files of house images that you have found -- it would probably take you ages to go through them all! Oh, forgot to mention the model was also called the Kent. Thanks for the reminder!